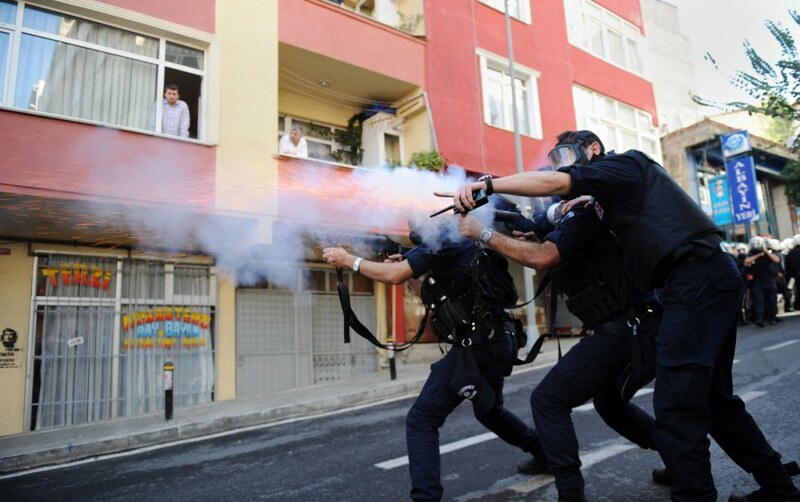 Turkish riot police fire tear gas as they clash with Kurdish demonstrators during a protest in support of a hunger strike movement by Kurdish prisoners in Istanbul, Turkey, Oct. 30, 2012. 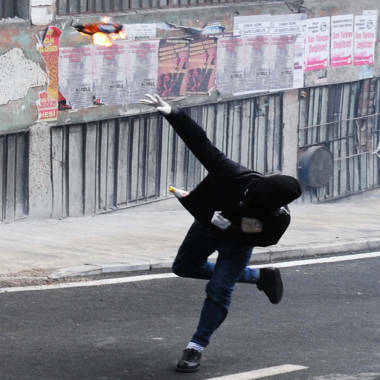 A protestor throws a fire bomb during clashes in Istanbul, Oct. 30. 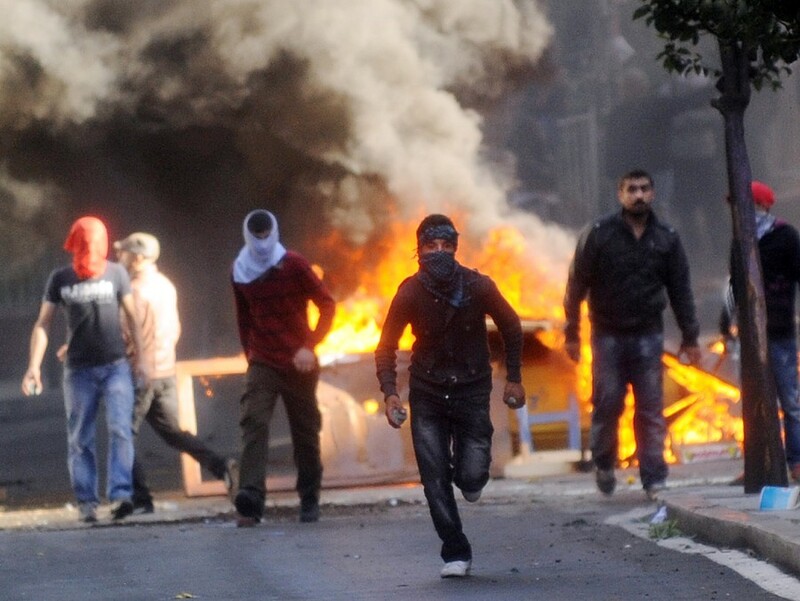 The Associated Press reports — Kurdish protesters clashed with police on Tuesday near a prison in southeastern Turkey where some inmates are on a hunger strike, witnesses said. Prime Minister Recep Tayyip Erdogan says rebels are orchestrating the hunger strike and that the government will not bow to blackmail. The government has sought to reconcile with disaffected members of Turkey's Kurdish minority, but activists who seek autonomy in the mostly Kurdish southeast and say state concessions have not gone far enough. A surge in attacks by the rebel Kurdistan Workers' Party in recent months has further eclipsed efforts to find a peaceful solution to a conflict that has dragged on since the 1980s, claiming tens of thousands of lives. 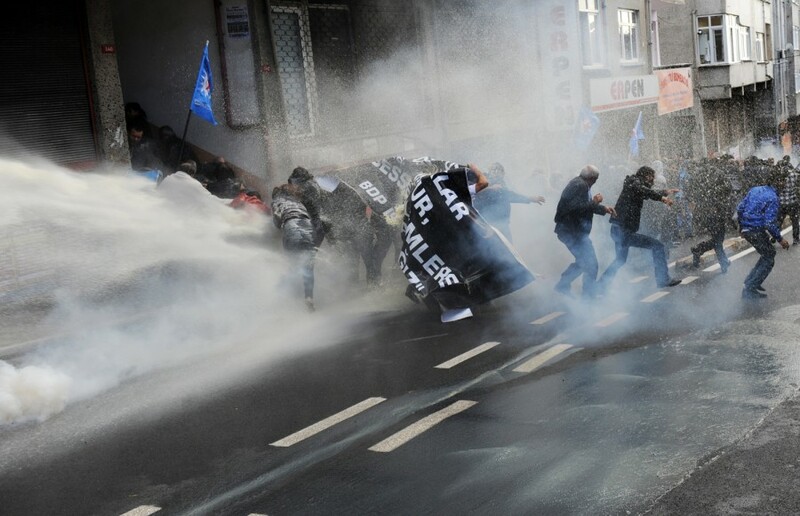 Turkish riot police fire a water cannon as they clash with Kurdish demonstrators during a protest in support of a hunger strike movement by Kurdish prisoners in Istanbul, Turkey, Oct. 30. 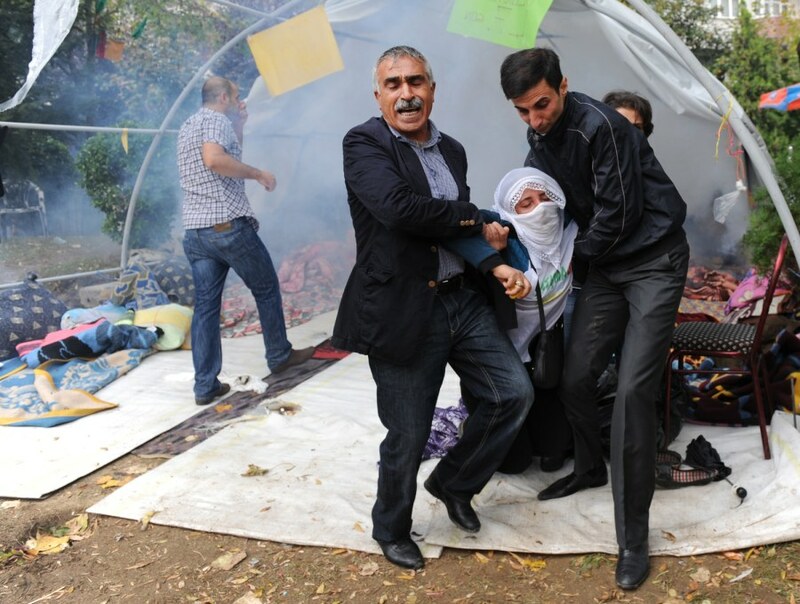 Protestors help a woman affected by tear gas used by police during clashes against Kurdish demonstrators protesting in support of a hunger strike movement by Kurdish prisoners in Istanbul, Turkey, Oct. 30. Kurdish protestors stand in front of a flaming barricade during clashes between Kurdish demonstrators and riot police in Istanbul, Turkey, Oct. 30. 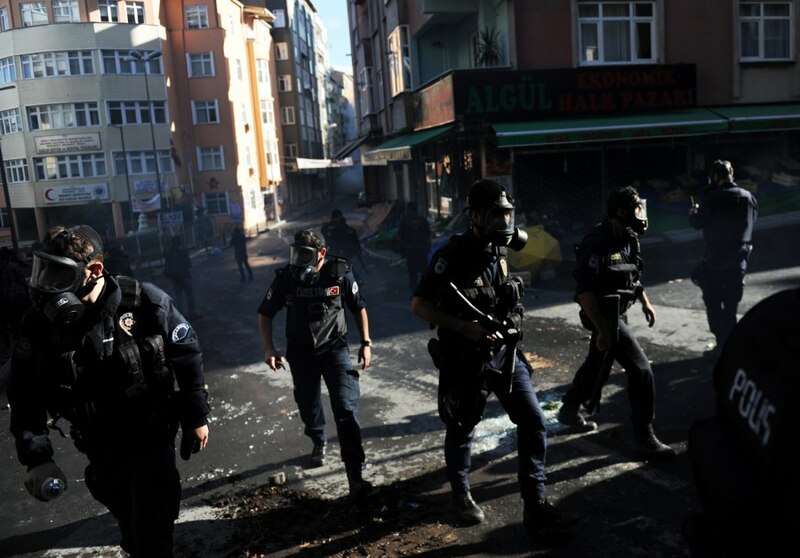 Turkish riot police take positions as they clash with Kurdish demonstrators during a protest in support of a hunger strike movement by Kurdish prisoners in Istanbul, Turkey, Oct. 30.